Made this as a joke card for my daughter. She has been trying to talk her hubby into adding a puppy to the family for months. They have 4 cats and he says NO WAY!!! So I thought I would give her one for Valentines, one that he want mind. Oh this will make her giggle, love this cutie! I too want a puppy but hubby says he doesn't want a dog in the house.. boo hoo! TFS Nana ~ enjoy your wonderful weekend! What a sweet, sweet card! 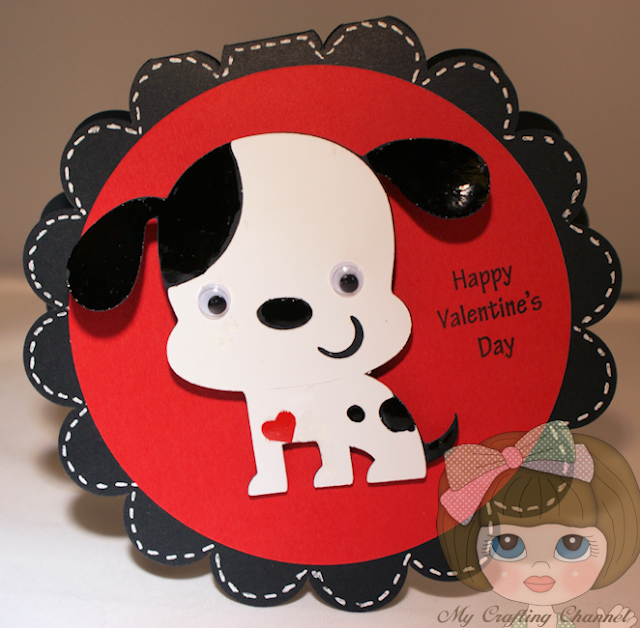 Love the scalloped edges and that adorable little pup! Guess this will have to be the next best thing until she can talk her hubby into the addition! I'm sure she will love this sweet card! Gorgeous card Nana, the little dog is so sweet, your Daughter will love it, and she doesn't have to clean up after it lol.